Facebook has begun a slow rollout of a new feature for its Messenger app that it hopes will make sharing photos easier. Called Photo Magic, the new feature uses facial recognition technology to find photos of your friends in your camera roll. Photo Magic (groan), which you have to opt into to use, is meant to solve a fundamental problem of the smartphone camera age: you likely have hundreds of photos of friends sitting inside your camera roll, and despite your best intentions, you’ll likely never take the time to pick them out and send them to your friends. Peter Martinazzi, a director of product management on Messenger, told me he found himself in this position after Halloween, when his camera roll filled up with photos of his friends in costume. Now, instead of letting them languish, he can use Messenger to get the pictures to their intended recipients. Once you opt-in to Photo Magic, Facebook Messenger will scour your camera roll for the newest photo of one of your friends. Once it finds one, it will prompt you to send it. For photos containing multiple friends, Messenger will open a new message thread for you and everyone in the image. 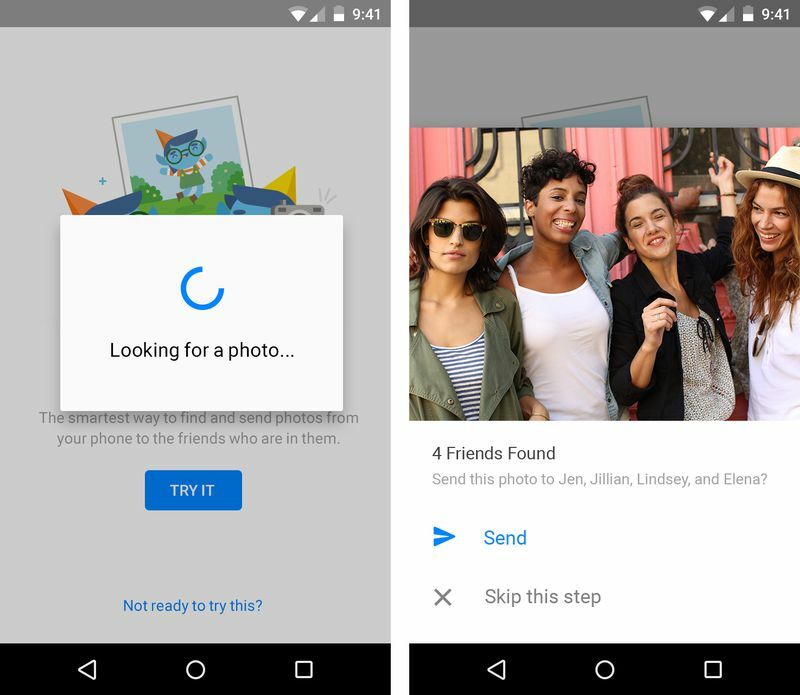 As you take new pictures with your friends, Messenger will notify you to suggest that you share your new pictures with the included friends. Photo Magic is rolling out now in Australia, coming to Android first, followed later this week by iOS. It is expected to expand to more countries over the next few months.